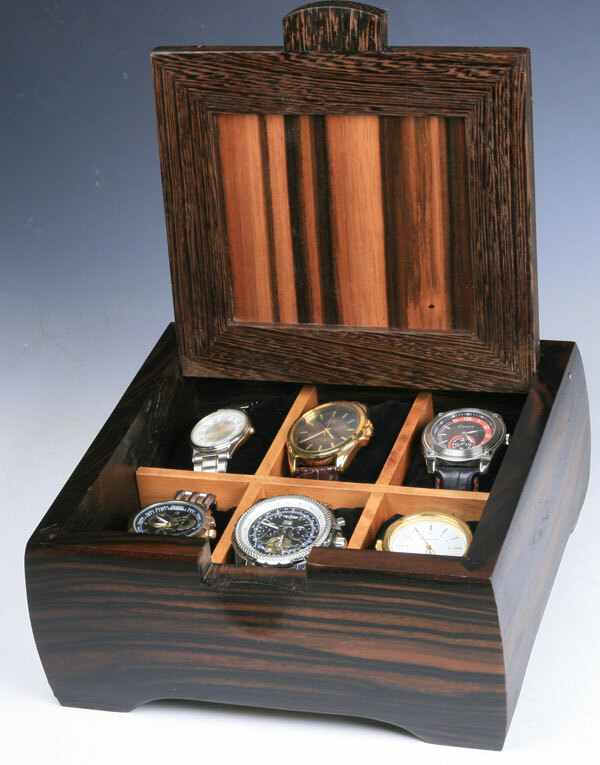 This unique watch valet is made from from macassar ebony with Gabon ebony “butterfly ” splines at the mitered corners. 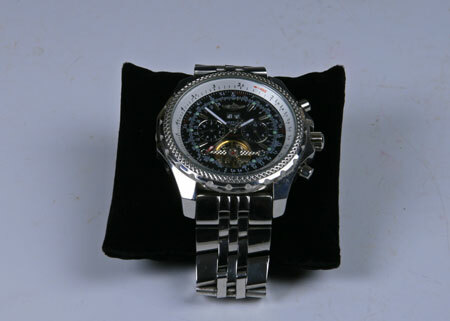 Lots of room for “Jumbo” watches. 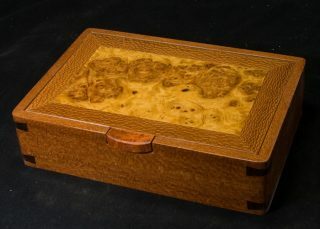 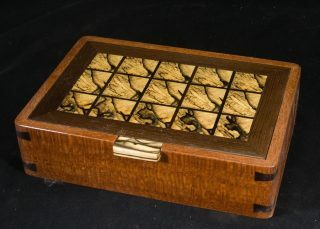 The lid is a veneered panel of macassar ebony with a black & white ebony border inlay . 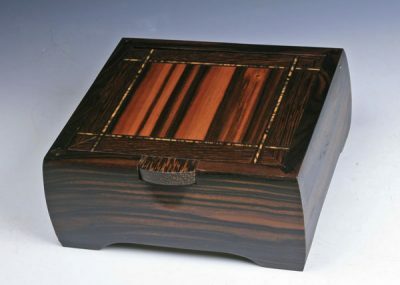 The lid is framed in wenge with a black palm knob. 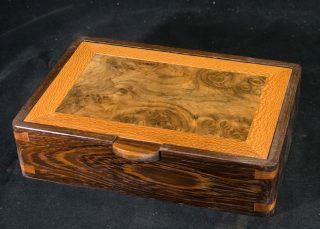 The hand sewn watch pillows can be removed and the space can be utilized for cuff links, rings or other items. 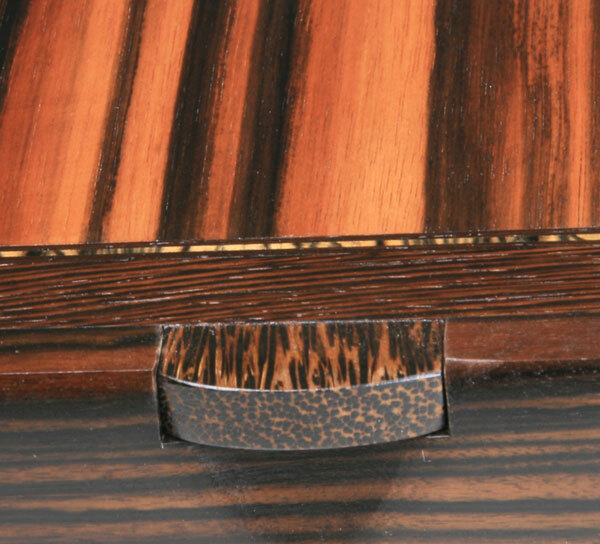 The dividers are cherry. 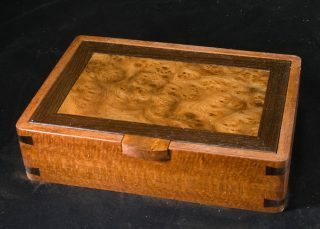 This box is signed and all the woods used are listed on the bottom. 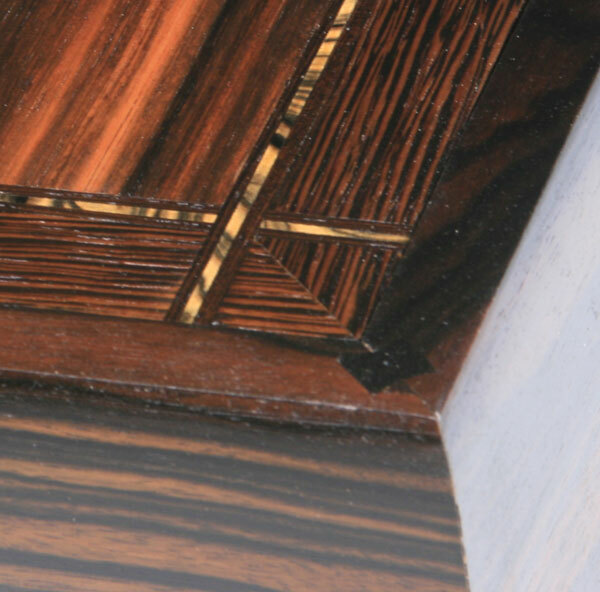 Woods: wenge, black palm, macassar ebony, black & white ebony, cherry and Gabon ebony.